Whenever you feel like buying and using nootropic supplements, you can always pick from a variety of options. You can opt to purchase them over the counter at various health stores and local pharmacies. However, the majority of users prefer to buy their nootropics from online vendors. New Star Nootropics is one such online source which offers competitive rates and proper details. It even provides third party purity testing of their nootropics. Based in Tucson, Arizona, it’s a small firm which sells nootropic supplements in bulk and powdered form. 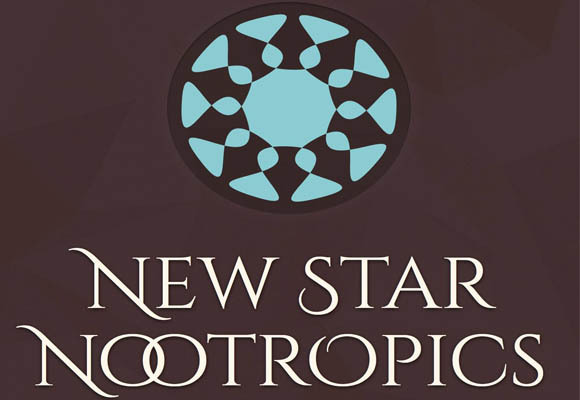 New Star Nootropics is a young enterprise which began in 2012. In a short span of four years, they achieved enormous success growing into the nootropic market. This was made possible by their exclusive product range, expert packaging and extremely friendly customer care team. What’s Unique about New Star Nootropics? A unique feature of New Star is its marketing technique which appeals to both the scientific and nootropic communities. Rather than listing all nootropic products and selling them in capsules forms, they specialize in offering powders in bulk. These powdered forms are of top quality and they make all efforts to ensure that the quality stays intact. Numerous nootropic users recommend New Star as the ultimate site when you’re looking for legal and potent cognitive supplements. The company has an exclusive product range which also includes rare nootropics, for instance Unifiram and Coluracetam. The company even claims that both of these substances are nearly impossible to find elsewhere. Furthermore, New Star provides excellent service when it comes to shipping and offers a small, handy measuring scooper with each order. New Star’s other great marketing feature is the way it packages its products before shipping them. Each nootropic supplement comes in a robust amber-tinted plastic or glass container. Such expert packaging aids in ensuring longer shelf life of the nootropics by obstructing the effects of light and humidity. Bulk quantities come in big jars and small amounts come in neat tiny vials. According to many users, New Star Nootropics offers superior shipping services at cost effective rates. The company provides 2 to 3 days customary shipping service free of charge to any location within the US. To beat Amazon Prime, New Star offers Express next-day shipping for a reasonable price ($13.65). New Star Nootropics offers an exclusive range of supplements and has top tier marketing, packaging and shipping methods. However, one of the most significant features of their service is their customer support. Various nootropic communities are very vocal regarding how reasonable and informative their customer care representatives are about their products. Many users shared their experience with New Star’s customer support on various nootropic forums. One user shared a story about how he realized that the pramiracetam he ordered from the company got discolored. It developed a tan tone despite pramiracetam’s standard color being pure white. He immediately emailed to inquire about this and attached a picture of the glass vial containing the tan powder. Within a few hours, he received a response from one of their customer support staff members. Without asking for any clarifications, customer support shipped another pramiracetam vial to his address. The team member also explained that it was probably due to some shipping issues. The temperature inside the container got too high and the powder melted slightly. The tan color was a result of this slight dissolution. Customer support even assured the user that the powder was still safe to use and also mailed some information about melting. The website for New Star Nootropics is very simple with minimal visuals. It’s quite easy for visitors to find information since there isn’t a single needless text field. The product detail sections are simply rolled-out in tabs along with other links, such as blogs, FAQs and Contact Us. A range of quantities you can pick, along with their prices. A downloadable link to their 3rd party purity assessments. You can find many other nootropic websites with similar products, but most have complicated designs and images copied from Google. However, according to numerous users, New Star Nootropics has a simple graphic user interface design which is relatively easy to use. New Star Nootropics offers a great variety of products, which most of users look for in an online store. It also exhibits an extensive understanding of each supplement. The company exclusively caters to the nootropic community, which is consistently developing and adapting just like any other community. Their range covers everything from nootropics to testosterone boosters to libido enhancers. The company also offers competitive prices. They perform a great job by keeping their prices low as well as maintaining product quality. For the clients, it is certainly a winning deal. Nootropic users at various forums openly praise the return policies of New Star Nootropics. However, such policies keep changing all the time, so users are advised to cross check the latest changes. Several user reports suggest that among all the online nootropic vendors, New Star Nootropics is probably one of the best. Products also include gym supplements as well as cognitive boosting substances. They provide excellent packaging, shipping and customer support services. Many users feel that New Star Nootropics treat them professionally,and don’t bombard them with unnecessary details to create a good impression. They also offer products which are difficult to find elsewhere. They always go the extra mile to serve their clients and make them feel good about their buying decisions.